HIBERNIAN winger Martin Boyle insists he is ready to represent Australia ‘with pride’ after setting his sights on a dream international debut this weekend. The 25-year-old is in the Socceroos squad for Saturday’s friendly against South Korea after his eligibility was confirmed thanks to his Sydney-born father. Boyle was said to be on the radar for a call-up from Scotland manager Alex McLeish but, with nothing transpiring at home, has opted to pledge his future Down Under. Having trained with the Australia squad for the first time during a camp in the Middle East last month, the former Dundee and Montrose attacker is keeping his fingers crossed he can now land a first cap for his adopted country in the Brisbane encounter. Boyle is joined in the squad by Easter Road team-mates Mark Milligan and Jamie Maclaren, with the pool for a second friendly, against Lebanon next Tuesday, to be confirmed. He said: “I’m delighted to have been called up for the squad for the game against South Korea. It will be a good experience for me as I am now eligible to play in the friendly. “My target is to just make a good, positive impression on the manager and the supporters and represent the country with pride. Boyle has turned into a key performer for Hibs in recent times and has netted four goals in 11 top-flight appearances this season. 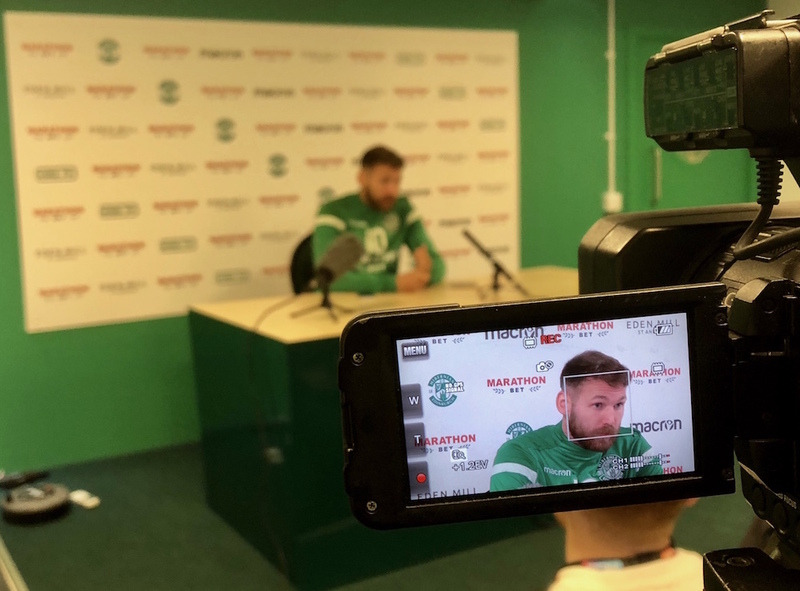 With the comfort of capital colleagues Milligan and Maclaren alongside him, the former Scotland Schoolboys internationalist is hopeful his Australian experience will help him improve still further on his return to Easter Road. He added to www.hibernianfc.co.uk: “Having Jamie, Mark and myself in there is great for the club in the first instance, as well as on an individual basis. “There are a lot of good players in the squad and there are guys that I can learn from, and the experience will hopefully benefit me as a player.